The cost of sponsoring an Ophelia Girl is only $350 per student per year. That is less than $1 a day! Your generous support will provide Ophelia Girls with: trained and certified Ophelia Mentors who will serve as their guide and assist them with setting education and career goals and taking the steps to realize them; professional presenters from the local business community who provide life skills classroom presentations and share their professional expertise to make a positive difference in Ophelia girls’ lives; program supplies; Ophelia curriculum; session materials and handouts; transportation for educational field trips; and the required program administrative infrastructure to ensure model fidelity in all schools. Each sponsorship brings change to more than just one young girl – it strengthens an entire community as the benefits your gift provides will extend to each girl’s family, their community, and other youth in their sphere of influence. Many, many individuals are positively impacted by every single Ophelia Girl sponsorship. 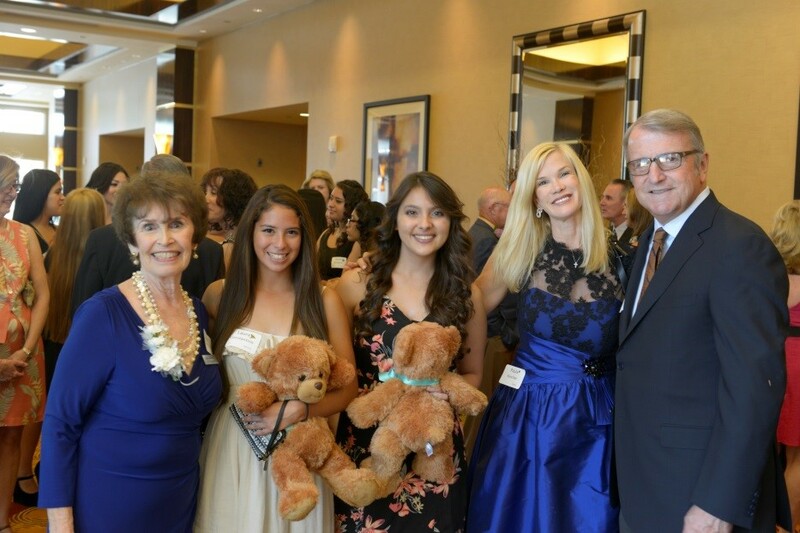 You will be given a variety of opportunities to personally meet and interact with Ophelia Girls by attending events that take place during the school year or by attending the Annual End of Year Ophelia Project Luncheon. You will be able to see first-hand the growth and tremendous difference your sponsorship has made…. a difference that will change not only the lives of the girls you sponsor, but your own life as well.